Property 6: Enjoy Secluded Mountain Paradise at the Rustic Fox! 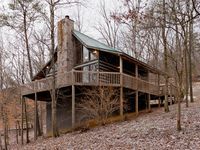 Property 12: Brand New Cabin:Convenient to Everything the Smokies has to offer! Property 15: Log Cabin in the Clouds with a Million Dollar View. Hot Tub! Close to Downtown! Property 16: Dream Come True; A Coming Together of Family & Friends in a Beautiful Setting!! We have great Spring rates and a cabin that is OH SO Clean. NEW HOT TUB,too. Property 17: We have great Spring rates and a cabin that is OH SO Clean. NEW HOT TUB,too. Property 19: This is a bright, sunny cabin with real log cabin style, breathtaking views!! Property 27: 1 Bedroom Romantic Safari Hideaway - Pet Friendly - Minutes from everything! 20 minutes from downtown Chattanooga! Hot tub, hiking, swimming, kayaking. Property 32: 20 minutes from downtown Chattanooga! Hot tub, hiking, swimming, kayaking. Property 33: LAST MINUTE CANCELLATION APRIL 15-18 AVAILABLE! great rates PET FRIENDLY! Property 40: Honey Bear in Pigeon Forge #unforgettable 1BR w/ Gameroom, Heart Tub & Mountain Views! 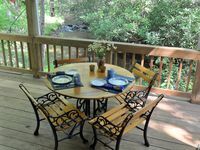 Property 46: Spring Special $99 Per Night Thru End of April and Great Location!! Rating Details: The property manager was very helpful. The vacation rental was spotless. I was very happy with the location. I was very satisfied with the condition of the vacation rental. Overall, I recommend this vacation rental. Reviewer Comments: Great stay! Loved the cabin. A very warm &amp; comfy, well maintained cabin. We will definitely tell our friends and will be back soon.